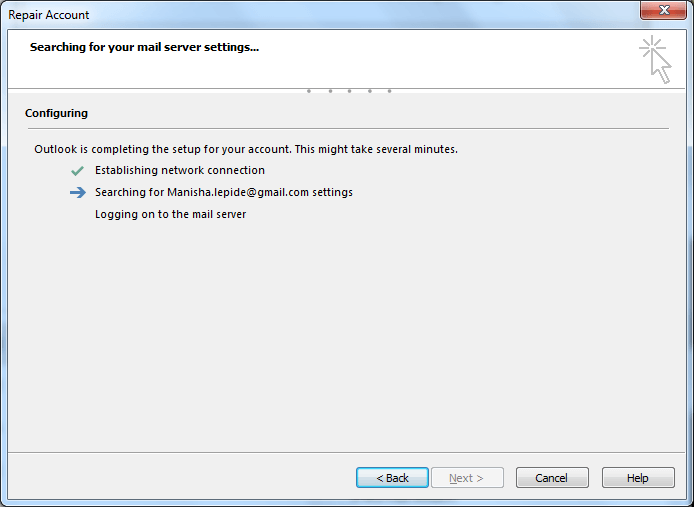 An Outlook profile contains settings and configuration, an email account, and all other user information. A user may have different Outlook profiles for different purposes such as work, home, etc. 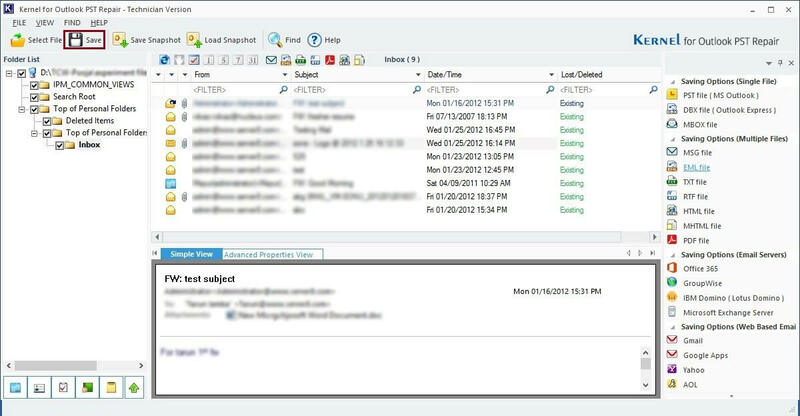 One of the many reasons of Outlook profile corruption is corrupted PST. Sometimes due to a corrupted PST, the profile becomes inaccessible, and it needs repair. Another reason is when the size of the PST file maxes out; sometimes the size of a PST is limited, and when users hit the limit, they face profile corruption. If you have a lot of folders or subfolders, then again you may face the profile issues. It is always advised to avoid a lot of folders. There are multiple signs for a corrupted profile or a damaged PST. You are facing error “Operation failed” in Outlook when you are trying to reply. This may happen due to PST issues or malware attack. You are facing an error “Cannot start Microsoft Outlook. Cannot open the Outlook Window.” Then you need to repair Outlook profile as soon as possible. Your Outlook is slowing down, or you are facing some hang issues. Then you might need to repair your profile. 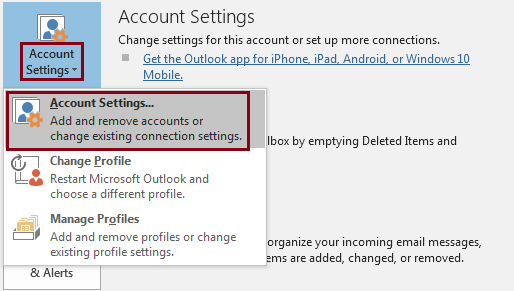 How to Access the Outlook Profile? No matter which version of Windows you are using, the process for accessing the profile is same. Go to Start, and open Control Panel. Click on the Show Profiles button in the Profiles section. Now you will have a Mail dialogue box, where you can see your profiles. Here you can see the Outlook profile. Select it and perform whatever action you want to perform. Let’s have a look at the options available. Add: – By clicking this option you can add a new profile by following a few simple steps. Remove: – If you want to remove or delete a profile, select it and click on this button. Properties: – Click on this button, and a new dialogue box will appear with options like Email Accounts and Data Files, where you can set up email accounts and change settings. Copy: – By clicking this you can copy the Profile if needed. Always use this profile / Prompt for a profile to be used: – These are the selections you can make on the basis of your preferences. 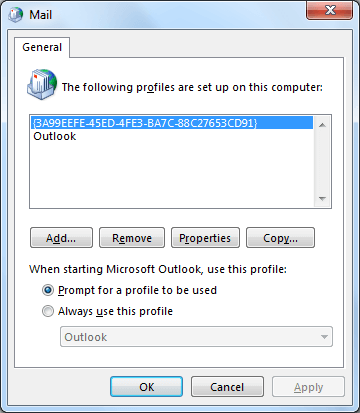 Note: – In the attempt to deal with the corrupted Outlook profile, you can try removing and recreating the profile. This can tackle the corruption issue, but there is no guarantee that it will fix it permanently. Even if it is fixed for once, it can return any time. So, let’s discuss a few methods to resolve this issue. 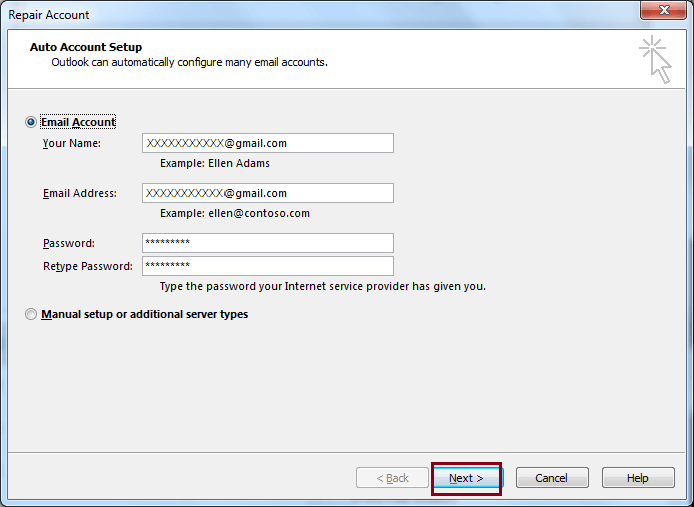 Start with clicking on the Tools button and select Account Settings. 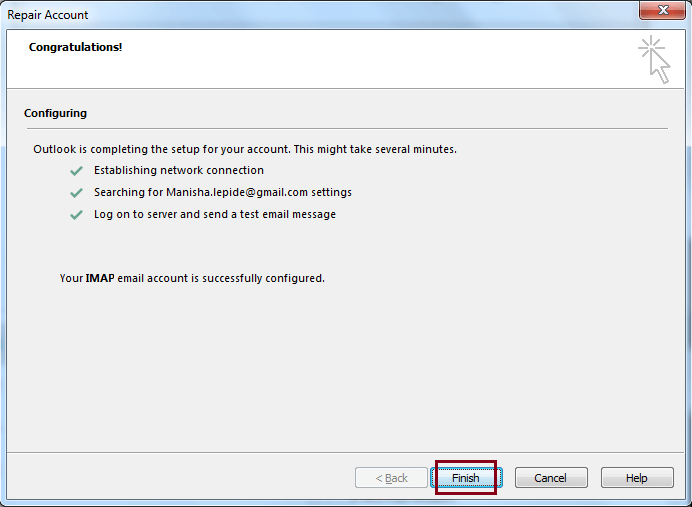 In the Account Settings window, click on the Email tab and select the Outlook profile, and click on Repair button. Now, follow the on-screen instructions and your profile will be repaired successfully. Now, let’s see how you can repair profile in Outlook 2010, 2013, and 2016. 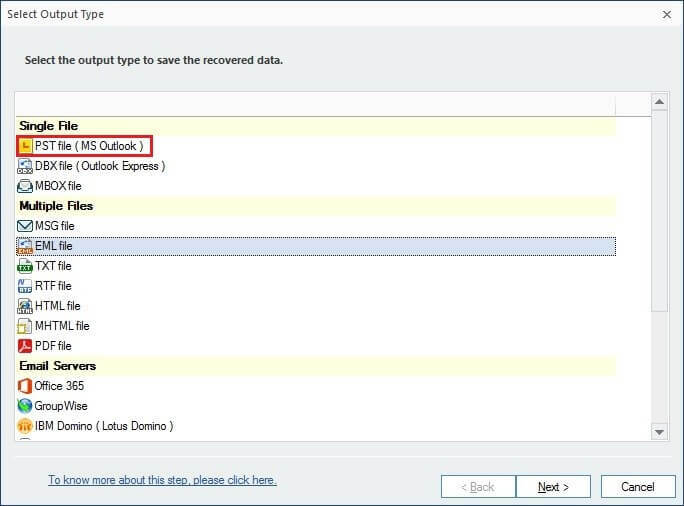 Here we are going to discuss the steps in Outlook 2016, and you can apply the same procedure in Outlook 2013 and 2010. 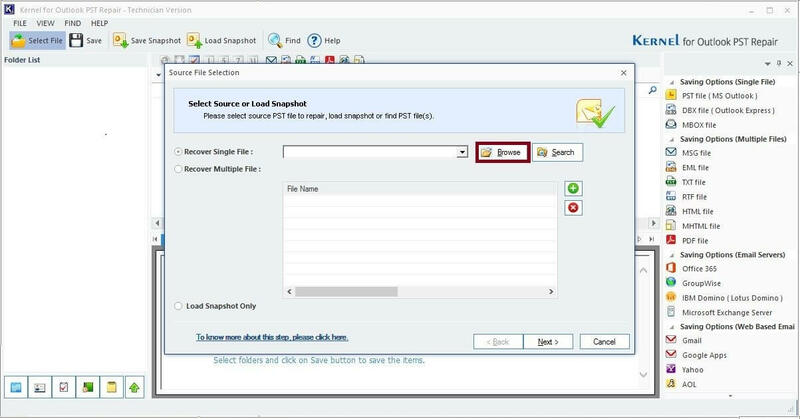 Open Outlook and click on the File tab. Click on the Account Settings drop-down button and select Account Settings. 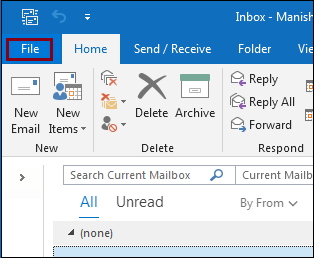 Now, in the Email tab, select the Outlook profile and click on Repair button. Now, enter the login details and click Next. Wait for the repair process to take place. Once the repair is done, click on the Finish button. There are many cases which cannot be fixed with any of the above-stated methods, like PST related issues. For that, you will definitely need the help of a third-party tool. So here is an expert tool from Kernel for Outlook PST Repair which can solve your PST related issues at once. As the software opens, you will see a dialogue box ‘Source File Selection.’ Start by clicking on the Browse button. In case there is no dialogue box, click on the Select File option to open the same. In this step, you can have a preview of the file. Click on the individual items to have the preview. Now, click on the Save button on the top and select the desired file format, like PST file (MS Outlook). Click on the Next button to proceed. The tool allows the user to apply filters and decide what exactly they want to repair and save. 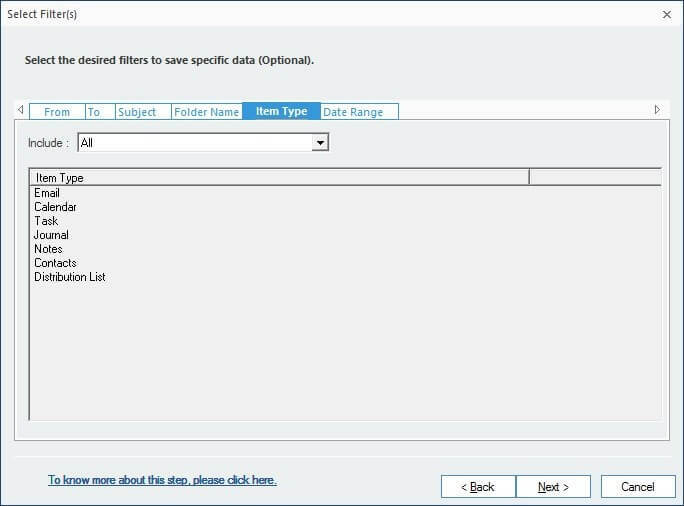 Select the filter options and click on Next to proceed. 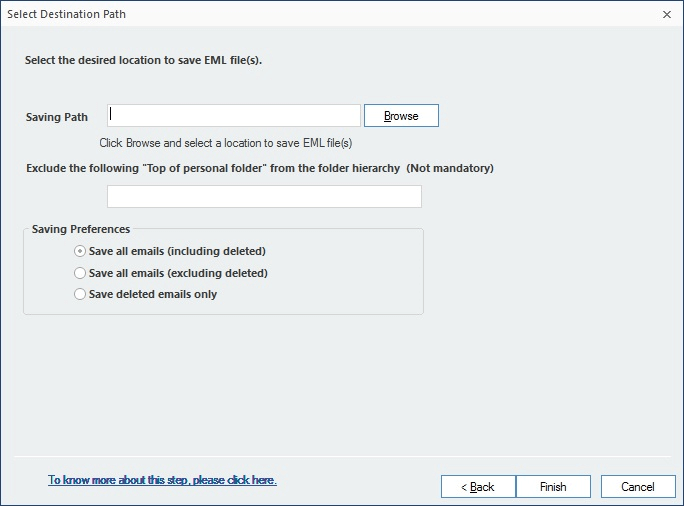 Now, provide a saving path to your file by clicking on the Browse button. Also, you need to select saving preferences and click on the Next button. The process will take some time to complete, once it is done click on OK.
Outlook profile corruption is a serious issue and can affect your work badly if not tackled soon. 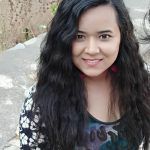 This blog is dedicated to Outlook profile corruption and fixes. After a lot of research, it is clear that if you know the exact reason why this issue is raising, you can definitely solve it. But to catch the reason is time-consuming and gives no result sometimes. As we have discussed, PST corruption could be the main reason for profile issues. So, as per my experience in solving the issue, I would recommend targeting the PST first (if the reason is still unknown). The best way to resolve all PST issues is by using a third-party tool; it saves a lot of time and effort. Kernel for Outlook PST Repair, in my opinion, provides a 360-degree approach to deal with all PST related issues as it is loaded with technically advanced features that can fix any PST related issue in no time. How to Repair Outlook 365 on Windows 10? 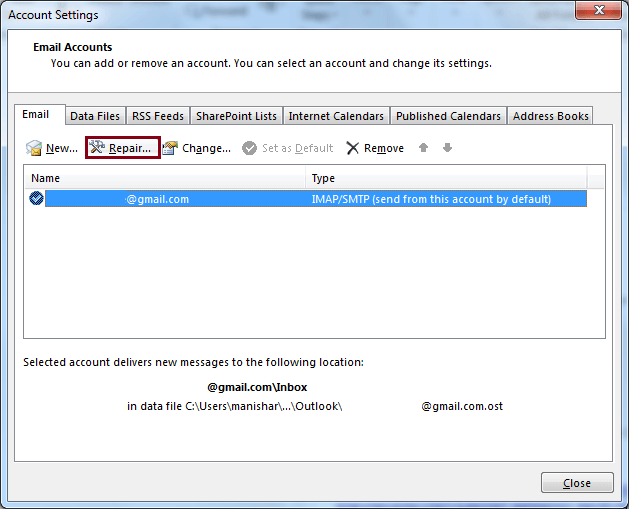 How to Sync Gmail with MS Outlook?